Quite unlike any other occupational health expert, Dr. Charlesworth-Jones is both a qualified occupational health expert and a practising Barrister. His reports provide a robust, reliable opinion which brings the medical facts of your case to the context of current legislation and legal precedents. Practising as a Barrister, Dr. Charlesworth-Jones understands just how unhelpful a vague and ambiguous expert opinion is to a Tribunal panel. Dr. Charlesworth-Jones always ensures that his expert witness reports are concise and informative. It can reasonably, and quite correctly, be stated that the mind and body are inextricably connected. Qualifications in occupational medicine, experience in adult psychiatry as well as recognition from the Secretary of State in mental disorders places Dr. Charlesworth-Jones as a capable witness for either claimants or respondents in cases involving depression and anxiety. In particular, cases involving prolonged sickness absence, mental health compromising work commitment and productivity Dr. Charlesworth-Jones is able to provide insightful expert evidence which Tribunals will find helpful. A big thank you to Dr Charlesworth-Jones at Ryminster who helped in getting my license back against the DVLA. He is professional and thorough. An extra big thanks for rearranging all his calls at short notice when the case was cancelled and making sure he was available for court. Whether running your client’s case or reporting to management, the combined qualification of an occupational health expert and barrister will inform and reassure everyone that the best possible expert advice and evidence will be available to you and your team. Cases have a tendency to evolve and your case will inevitably be better if you have an expert advising who can comprehensively understand the measure of your case. Despite of his deep legal understanding and experience as an expert witness, Dr. Charlesworth-Jones confines his opinion to what he is instructed to report on. 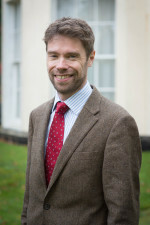 Unlike some other experts, Dr. Charlesworth-Jones includes within his report fee the opportunity for those instructing him to discuss the case personally so that his attention can be directed to all matters of the case. He also provides answers to questions arising from his report free of charge if raised within a calendar month of the consultation. Each business is unique and this is a general guide. If you have a specific question you would like us to answer, to book or make further enquiries either call us on 0871 704 2727, email occupation@ryminster.com or complete the how can we help request form on the right of this page.